“Extreme engineering” is a documentary television series that explain futuristic and ongoing engineering projects. One of the best chapters shows how to solve the problem of transporting mega-structures to different locations. Do you need to carry a giant ship, or maybe 22 of them? The solution of your problems is The Blue Marlin ship. The Blue Marlin does not lose its time carrying containers, oil or fishes. Instead, it can carry other ships, nuclear-powered submarines or oil rigs. 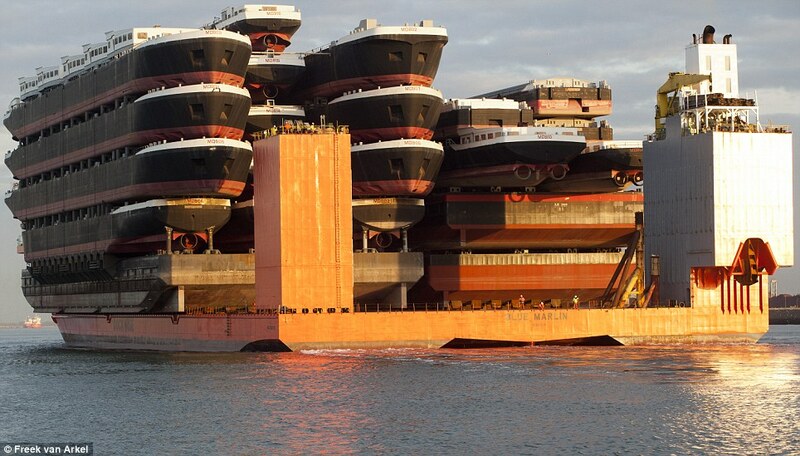 This amazing vessel, commonly known as “flo/flo” (float on – float off), is a semi-submerging ship capable of carrying other ships out of the water. One part of the ship can disappear up to 13 meters below the water’s surface. For doing that, its ballast tanks are filled with water. Then, when the cargo is into position, the tanks are pumped out until the deck is in contact with the load. 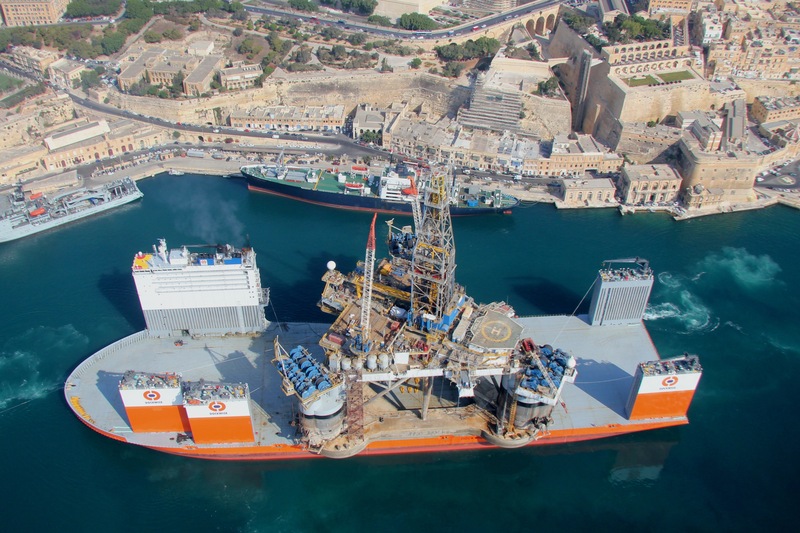 The blue Marin is property of Dockwise, a Dutch shipping company and has been used for different purposes. As a matter of fact, it was sent for transporting the damaged USS Cole from Yemen to United States. Its biggest cargo was a BP oil rig (60,000 metric tons), which was carried from Korea to the Gulf of Mexico. The Blue Marin is 217 meters long and it is powered by a 17,000 horsepower diesel engine. However, it seems small in comparison to a new one that was built in 2012 by the same company; the Vanguard. While the Blue Marin can carry 76,000 metric tons structures, this new ship (275 meters long) is able to transport up to 110,000 metric tons. In addition, The Vanguard includes movable casings, which facilitates adapting the vessel to different loads. My family lives in the area north of the province of Alicante, so I travel a lot over there by the interior highway. Every time I pass near the town of Alberic there is a thing that catches my attention. A huge and unfinished building next to the road, empty and without any activity. This colossal building was destined to be the largest logistics center in Europe, but perhaps due its own gigantic dimensions were which prevented it was finished. Juan Vidal, owner of Vidal Stores (nowadays the chain doesn’t belong to him) started the construction of the logistics warehouse in 2008, just when the economic crisis began to have its worst effects. The logistics warehouse of Vidal group would create 300 jobs in its more than 140,000 square meters. It had been projected 110 loading docks. The mechanized and self supporting warehouse reaches 30 meters high. Tens of millions of euros were spent on its creation. Vidal could not continue with the work and eventually sold its supermarkets to several groups of competition. The system self-supporting construction of the warehouse with racks that are part of the structure of the building, is one of the best ways to maximize the use of space when combined with an automation system like the one in the video. This allows full control over the stock and to greatly reduce the labor force. But the initial investment required to carry out a project like this is very high, plus the need for the best systems of information management, with the high cost of put into operation and maintenance that entails. Perhaps the Vidal Group did not choose the best time to start the project. It appears that recently the building was purchased by a major chain stores of spare parts for cars. They plan to turn this warehouse on its logistics distribution center for Europe. Perhaps now it is time to carry out this project that puts technology at the service of logistics. Spanish people know Mercadon like one of the most important supermarket to buy the purchase daily. As a consumer of Mercadona I consider relevant know how they are operating in the logistic plant and how they reduce time and problems with their own way to operating. In Spain the firm has more than 5500 employees working in logistic area, so this could meant that is so relevant for the company to stablish a good way to manage the products and the distribution. Efficiency is the principal word in the Ciempozuelos logistic warehouse, the warehouse of the XXI century. This is one of the platforms most modern distribution-enterprises world United States and throughout the European Union, including Spain, are already interested in its operation and have visited the installations and is one of the major reasons for the success of the company. The key is to be able to automate the whole process. So far, in a traditional store, but the pallets carrying a single product is automatically organized, not so with those that incorporated several. What has been achieved with this new software is that the machine is capable of depalletized shipments from manufacturers and organize orders for stores in multi-reference pallets without employees having to be carrying with them. In this whole Ciempozuelos logistics block, whose floor area reaches 100,000 square meters, Mercadona employs 692 people, of whom 182 are women, thanks to automation facilities has made employees “do not have to be weightlifters,” eliminating efforts and also reducing the risk of accidents. Mercadona has achieved a great logistics progress, Mercadona have been an example to this kind of area and nowadays are implementing new strategies to allow optimize logistics processes achieving excellent results. Each year, the customers are becoming more and more demanding with the companies due to the growing offer, gone are the days when the most (even the only) important thing for an enterprise was the quality of their products. At present, with the globalization and the technology evolving everything the companies need much more to attract clients against their competitors. Nowadays the environmental image of a companies is one of the most important things for the customers, and the foot print of the organizations are directly related with their logistics and their supply chain. Supply chains are critical links that connect an organization’s inputs to its outputs. The traditional challenges for the companies have included lowering costs, ensuring just-in-time delivery, and shrinking transportation times to allow better reaction to business challenges. 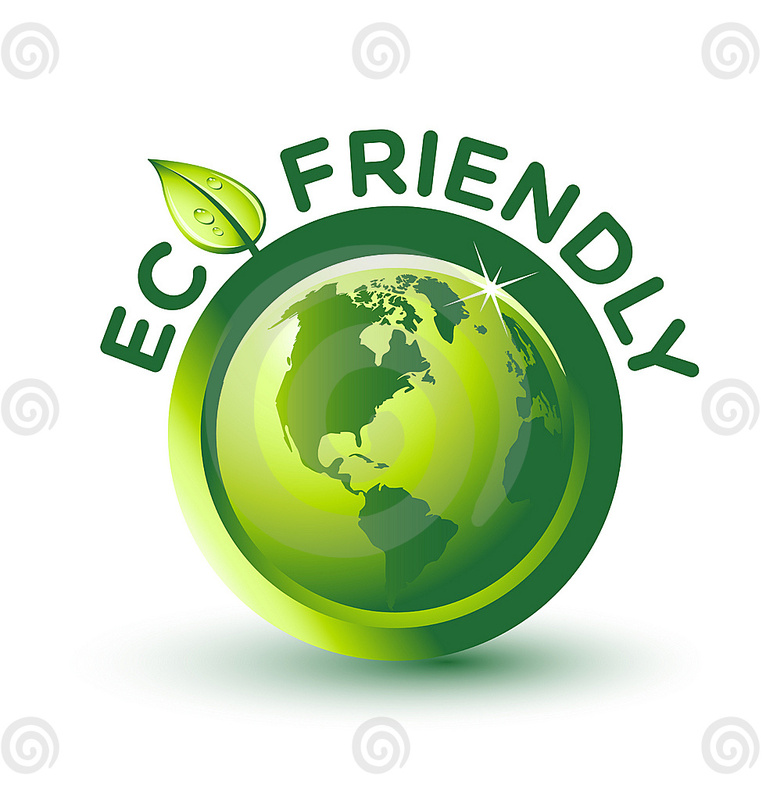 But now, with all the eco-friendly movement, that is not enough to fulfill the demands of the clients, they want all of that and also taking care of the environment. 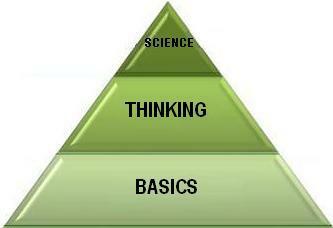 In 2008, The Future Laboratory produced a ranking system for the different levels of sustainability being achieved by organisations, There are three tiers of sustainability for better and more eco-friendly practices. As a company grows in sustainability, it moves up through the tiers and sustainability becomes more integrated. Getting the basics right: This first step to become more sustainable is based on enact sustainable policies that employees probably already use at home, in the office. Those simple measures starts with Turning lights and computers off when not in use, recycling paper, using more eco-friendly methods of travel (bikes, carpooling, and public transport) to reduce carbon footprints. Some companies also employ self-service technologies such as centralised procurement and teleconferencing. This first step is a must in order to achieve the eco-friendly goals, but is not enough. Learning to think sustainably: This second tier is based in the expansion of the practical behaviours of the employees to the business infrastructure. In this step the companies assess their impact across a local range of operations, and introduce some changes in their supply chain management like: supplier management, product design, manufacturing rationalization, and distribution optimization. The science of sustainability: At this last tier the companies go beyond the observable into a full-scale audit of how things are run and how they can be run, creating a balance between environmental , social, ethical and economic factors through a new way to proceed and a new supply chain strategy. This green improvement is a long-term plan which involve auditing and benchmarks to provide a framework for governing sustainable supply chain operations. All of this considering agility, flexibility and cost in the supply chain network. Moreover, at this level the companies must understand the current climate as well as pushing emerging regulations and standards at both an industry and governmental level. All this road could become a difficult task for an enterprise, but it is necessary to become a green company, which means not only the acceptance and admiration of customers and competitors but also better conditions according to the government “green” laws. Ikea was founded in 1943 and the companys´ priority was to offer a wide range of furniture at a low cost level to enable lots of people to buy stylish and high quality furniture. The cost reduction was the beginning for all innovative decisions in the supply chain during the years. The key of success was the flat packing. The idea was to reduce the air in the package, by that the volume which has to be transported and stored was reduced significantly and the costs were cut. To ensure the flat package, it must be possible to disassembled the furniture before packing. Of course not every product can be disassembled and packed in flat manner, for those products it was necessary to stack them. By the stackable and flat packed products IKEA takes benefit in transportation and also in warehousing because of the minimized volume. Therefor the costs are quite low compared to competitors. This practice is used in IKEAS world wide supply chain which involves more than 1300 suppliers spread over 50 countries all over the world. Due to that procedure IKEA is able to save not only costs, they also save an enormous amount of CO2-emissions. Of course that´s only a part of IKEAS way of improving business, however it was an important change in manufacturing furniture. Valenbisi is the service public bicycle which are available in the city of Valencia which are sponsored by the City and managed by the company JCDecaux. It was implemented since 21 June of 2010. The service Valenbisi is available 24 hours 365 days a year. The logistics behind Valenbisi is easy, fast, comfortable, sustainable and cost-efficient. Payment of long-term annual. The user pays an annual fee of 27.12 euros and is entitled to use the unlimited service over a calendar year. Payment of short duration, weekly. The user pays a fee of EUR 13.04 and is entitled to use the unlimited service for 7 calendar days. Stations are an essential element for hiring and returning bicycles and to get short and long term hire cards. To use a bicycle we just need to approach to a terminal and log using our Long Term Hire Card or our associated ticket (Mobilis), enter our PIN code and select an available bicycle on the screen. It is a very good environment friendly and helps by producing no pollution at all, which results in a eco friendly vehicle and are also easy, fast, comfortable, sustainable and cost-efficient. Sometimes there are some little problems like to get the vehicle or to find free station for parking during specified time. for eg getting a free station during the university time. Amother problem is that we have to pay some amount as a fine if we borrow the vehicle for more than 30 minutes. In the previous post I have talked about the over packaging and its possible solutions. One was to avoid the packaging of products as far as possible. Speaking of this, has come to my mind the way in how many products were purchased a lot of years ago. I remember when as a child, I accompanied my grandmother to buy and most foods were purchased in bulk. That is, the products were not packaged, or were packaged at the just time they were bought, according to the characteristics of the product. 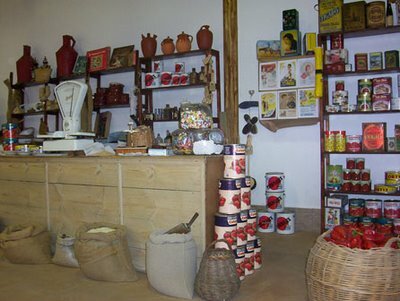 Legumes were put into small plastic, cloth or paper bags (usually reused many times), some canned food was wrapped in a special paper for it, meat and fish also were wrapped in special paper (fortunately this practice is maintained in traditional butchers and fishmongers), liquid products such as oil, milk or wine, usually were packaged in bottles or jugs that the buyer carried himself. Fruits and vegetables were carried in baskets. It was common for many products for immediate consumption that were sold in paper cones, highly biodegradable material. Even beer or soda were bottled in glass containers for which the consumer had paid a deposit and then they were reused(still functioning system for the area of ​​bars and restaurants in Spain). It was common to go buy loaded with empty bottles and go home with full ones. Unfortunately all these practices were lost. It is true that for reasons of preserving foods, the best way to package them is through vacuum systems, tetra bricks or other more profitable formulas for big business. But in terms of sustainability, I am convinced that it should be recovered many of the practices described above. In many small towns, some of these customs are not lost and bulk sale has remained mainly because the product goes directly from producer to consumer. But for some time, are appearing in big cities shops that recover the essence of that bulk sale of some products. This applies to chains like Granel or TastyHouse that are promoting responsible and sustainable. There are also very interesting initiatives that recover the idea of ​​returnable containers. In Norway, for example, when buying a packaged product in a PET bottle, a deposit is paid that is returned to the consumer if he deposited empty containers in a machine for this purpose, so that many of these containers can be reused.